DARPA developing breathable exoskeleton made out of fabric #WearableWednesday « Adafruit Industries – Makers, hackers, artists, designers and engineers! When you think about exoskeletons, you no doubt think of large, bulky robotic suits that people step into, like Iron Man’s suit. However, exoskeletons don’t have to be quite so bulky and annoyingly heavy. As a matter of fact, as technology gives us the ability to shrink a bunch of heretofore unshrinkable stuff down, we will start to see exoskeletons that are downright cute and cuddly. Case in point? 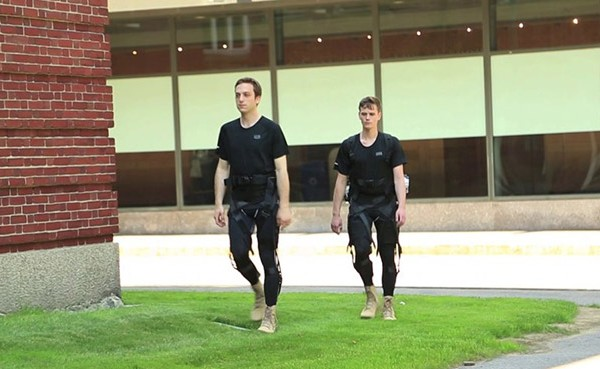 DARPA, yes that DARPA, has teamed up with a Harvard research company to create an exoskeleton that is fabric based and, well, actually sort of comfortable. DARPA and Harvard’s Wyss Institute has entered into a Tango and Cash-like partnership to create something they are both calling the Soft Exoskeleton. Why is it called that? Well, because it’s a soft exoskeleton. It’s actually made from fabric, so when the design is fully realized, it’ll sort of feel like just putting on regular clothes, only with the benefits of being of a pseudo-superhero. What can it do? You wear them like pants and they support and lend their strength to leg movements, thus making one able to run faster and jump higher. 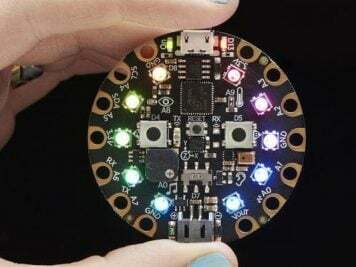 It’s powered via a group of embedded sensors and microprocessors. Primarily, this technology is being developed so soldiers can avoid injury for longer periods of time while out in the field. Although, the creators say it could be equally successful in the consumer world, helping people walk longer distances without obtaining the dreaded foot fatigue. Of course, this is high tech stuff, so don’t go looking for a pair at your local exoskeleton store. You do have one of those, right?